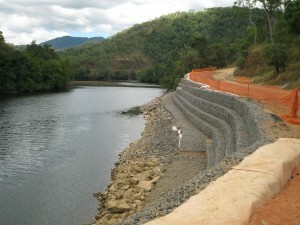 Earthtec has been involved in a number of significant coastal & marine projects. Most notably although now totally hidden from view is the Bondi Beach Seawall protection revetment. 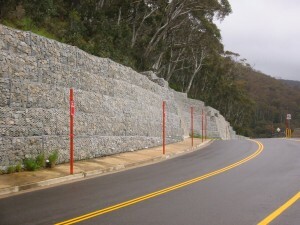 Designed to protect the iconic Bondi Seawall from undermining and collapse in the event of a major beach erosion event this structure extends along much of the concrete wall which forms the support to one of Australia’s most famous beach promenades. 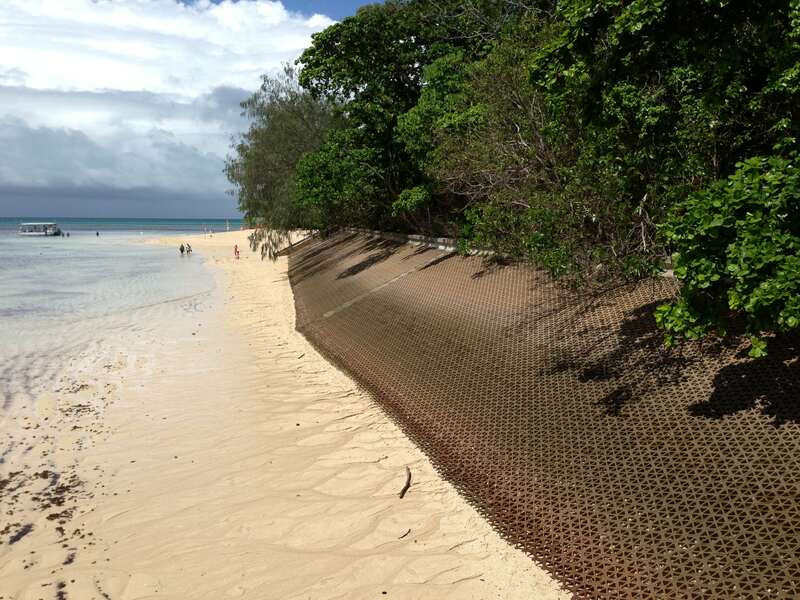 The Mollymook Seawall constructed for similar purposes and the challenging work at Green Island constructing the Beach Revetment adjacent to the jetty using “Honeycomb SeaBees” for the ecofriendly friendly Barrier Reef Resort. 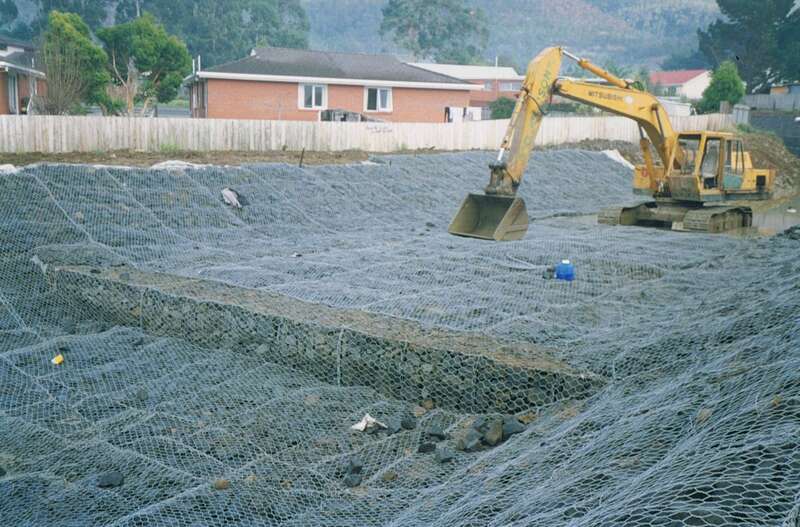 This work proved to be doubly challenging as it required the management of both the tidal seawater levels and the high coral island ground water. Please contact us for a detailed assessment. 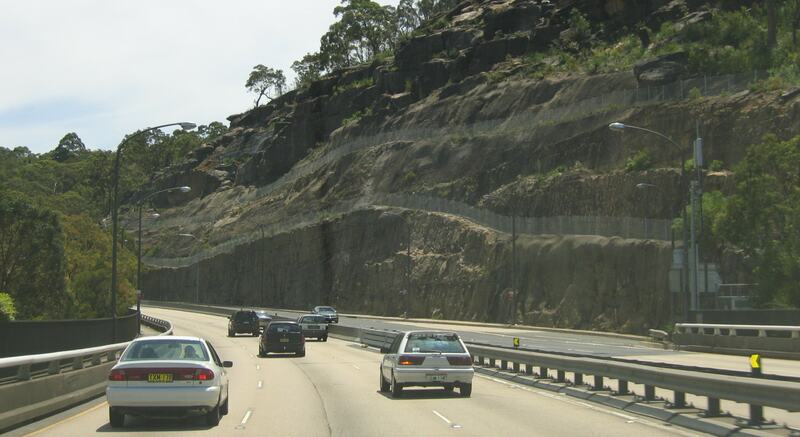 The rail network experiences very similar problems to Australia’s road infrastructure although the number of large scale landslip remediation works associated with the rail system is much lower. 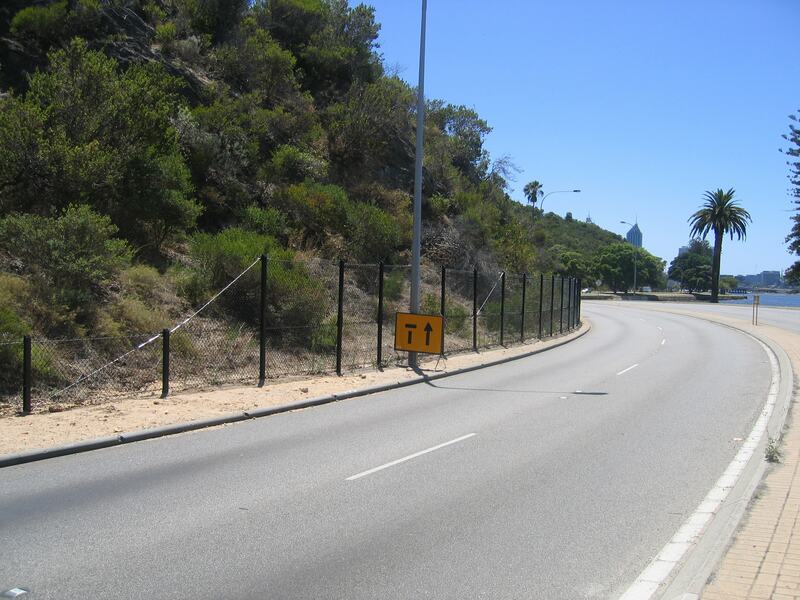 The opportunity to provide cutting stabilisation, rockfall protection systems and catch fences is still significant. 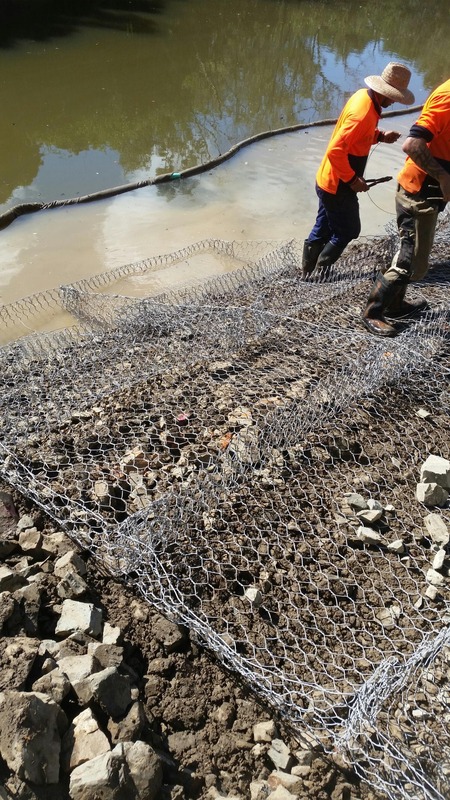 Earthtec’s team have been involved in a variety of different projects ranging from works in South Australia at the Noarlunga Cutting to Connors’ Range in North Queensland. 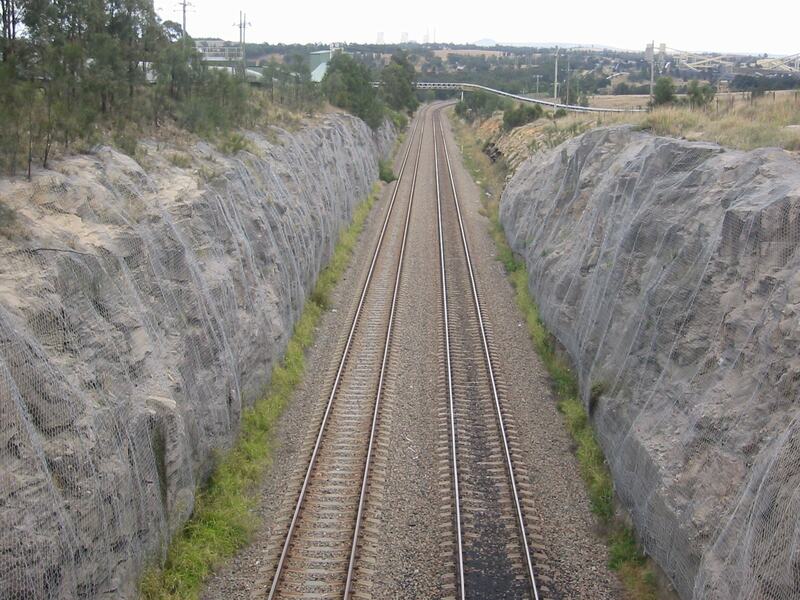 As with roads our activities include “Turnkey” Design & Construction solutions for walls, reinforced earth, embankment and cutting stabilisation to contract works associated with the rail network station infrastructure including most recently work at Cardiff Station, NSW involving earthworks, drainage and retaining walls. Please contact us for a more detailed assessment. 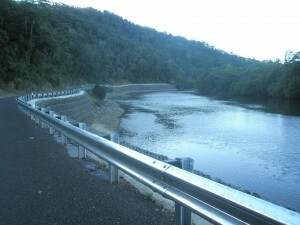 The Australian road network in many locations has been forged from traditional logging tracks through the Great Dividing Range in steep and unstable terrain. 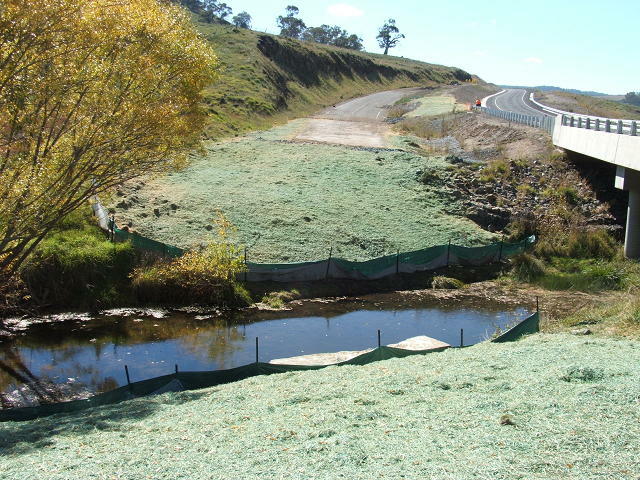 This historic and often uncontrolled cut to fill approach has created many areas, particularly on the east coast of Australia which are prone to landslip failures and run-off damage caused by poor drainage. This feature of our coastal and inland road network provides a regular requirement for embankment & cutting stabilisation. 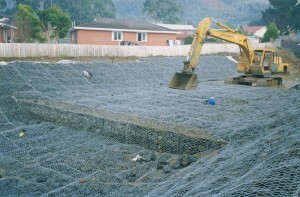 Earthtec offers a variety of techniques for road remediation works including “Turnkey” design & construct solutions which have proven extremely popular with the various state road authorities, local councils, Recently NDRRA funded works have formed a large portion of this activity and include major embankment stabilisation and road remediation works to the Kennedy Highway & Bloomfield Road in Far North Queensland. Similarly, the inland road network is plagued with flood damage particularly at river crossings and bridges where increased run-off and flood events often cause major damage to road related infrastructure such as bridges, culverts, causeways and levees. Earthtec has completed a number of culvert remediation works, causeways and bridge projects.